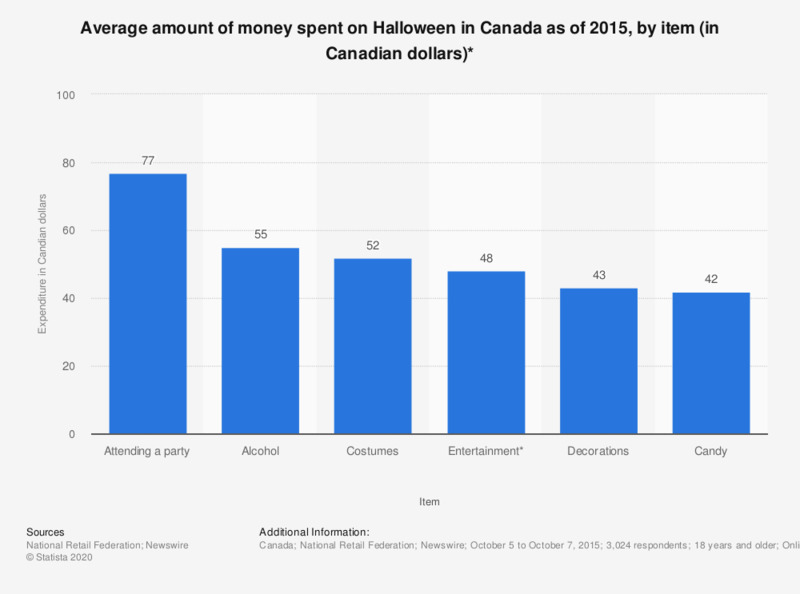 This statistic shows the average amount of money spent on Halloween in Canada as of 2015, by item, in Canadian dollars. In that year, Canadians planned to spend 52 Canadian dollars on costumes and 42 Canadian dollars on candy for Halloween. *Including: performers, music, bar cover, etc.